Does that number mean anything to you? Probably not, and that’s probably OK. But should it? Probably, and here’s why. That number is an estimate, a very rough estimate, of the number of medication doses, both prescription and over the counter, that the 311 million residents of the United States will consume during their cumulative lifetimes. I’ve made some big assumptions in generating that number, but it is probably safe to say that it is a big number no matter how you arrive at the final value. My inspiration for thinking about the number comes from 2 different places. 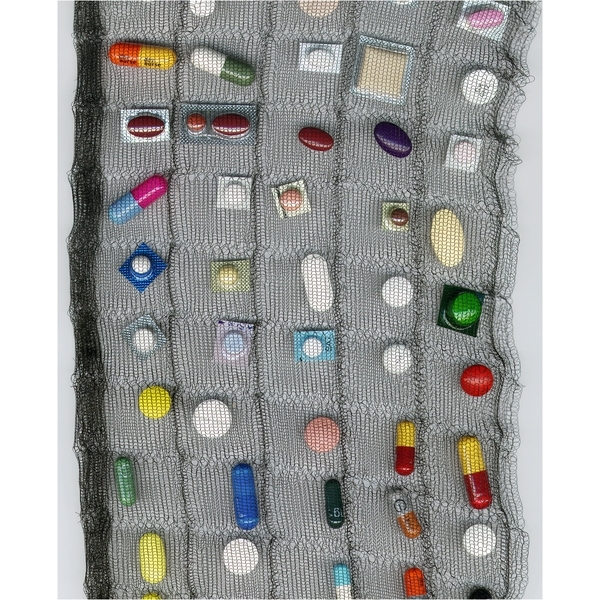 Medscape pointed me to an article in the American Journal of Pharmacy Education that pointed me to an exhibit displayed in the British Museum in 2003 called Cradle to Grave.1 The artists depicted, quite literally, the 14,000 doses of prescription medication consumed by the average British citizen during his or her lifetime. The artists estimate that the number of medication doses would increase to 40,000 if over-the-counter (OTC) medications were included. If we apply that number to the U.S. population, voilá, 12 trillion, four hundred forty billion. That’s a lot of pills, injections, ointments, and small cups full of sweet, but vile tasting, liquid. Are these drugs our problem? Selena Horner, writing on the blog MyPhysicalTherapySpace.com, agrees with me and the APTA House of Delegates that they are, but she’s greatly concerned. She’s concerned about “how the mix of medications” will affect a patient. She’s concerned about inappropriate medication use. It turns out that this does not mean medications being used inappropriately by patients, it means inappropriate medications are being prescribed by physicians. More on that another time. She’s concerned that physical therapists are not equipped to discuss medications with physicians. She concerned that the issue feels out of the scope of her expertise. Is understanding how diabetes affects a patient out of the scope of physical therapist practice? What about systemic lupus erythematosus? Don’t physical therapists need to understand the effects of this very complex disorder? A patient’s medications are very much like the rest of the medical history. Drugs change physiology, just as disease does. We need to understand the impact of those changes, when they relate to the reasons patients seek our care and when they affect the decisions we need to make about caring for our patients. Ms. Horner is concerned about putting herself and her patients in an uncomfortable position by questioning the decisions of the physicians caring for her patients. Physical therapists need to recognize that medications might be interfering with treatment, creating or contributing to symptoms, or limiting a patient’s progress. And when we think this is happening, hopefully we have enough confidence in our professional judgement to discuss this with our patient and then call the physician or other prescriber, describe what we are seeing, clearly state our concern that medications may be contributing to the issue, and ask what options the patient has. It’s not simple. There is no way for anyone to know exactly how 4 or 5 different medications will affect an individual, let alone what 14 or 15 drugs will do to each other and to the patient. But our patients are taking drugs, and drugs change physiology. We have no real choice but to give it a shot. 1. Anderson CA, Bates I, Brock T. Seven billion humans and 98 trillion medication doses. Am J Pharm Educ. 2011;75:1-2. This entry was posted in general and tagged APTA, medication doses, otc medications, pharmacy education, physical therapist. Bookmark the permalink.